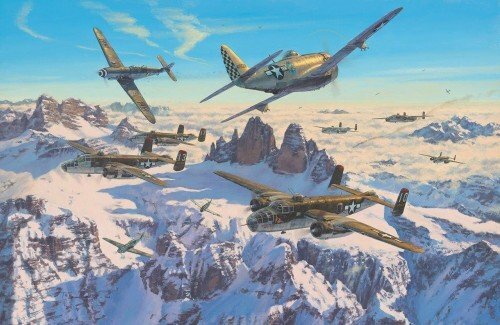 Joining artist Anthony Saunders in signing every print are two highly decorated pilots who flew and fought over the Brenner Pass during WWII. P-51 Ace with the 325th Fighter Group, scoring 8 victories. B-25 Mitchell pilot with the 321st Bomb Group.